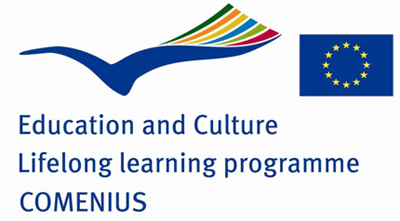 The Neapolis University participates in the European program, Lifelong Learning Comenius Regio Partnerships, titled “Teenage bullying: Prevention and treatment in school environment of Greece and Cyprus. “- In this day and age are displayed higher rates of school violence and cases of bullying, in schools and on the internet. This phenomenon is observed worldwide even in Greece and in Cyprus. The implementation of actions is necessary for the study and treatment of the school bullying phenomenon. The proposed program is a partnership of education administrations, schools and academic bodies from Athens and Paphos and aims to analyse the phenomenon of school bullying in these two areas, to investigate the methods and approaches of the phenomenon and to organize actions, in order to ensure good communication and cooperation between teenagers, teachers and parents for the prevention and treatment of the phenomenon. During the two-year program, research studies will be contacted to teachers and pupils and will be organised joint training activities, seminars, workshops, conferences, workshops and a conference. In addition the institutions from Greece and Cyprus will develop a website to present the actions and progress of the project, the benefits and the results. After the completion of the project, it is expected to maintain the cooperation of schools and open future cooperation opportunities between the two academic institutions. B’ Administration of Secondary Education Athens. The program is financed by the European Union with total budget €29,712.5 for its actions in Cyprus. The Neapolis University in Cyprus is represented by Dr Olga Solomon Islands-Kountouri, Lecturer in Psychology, Mr Ioanni Moschato, Officer of Marketing and Public Relations Department and Mrs. Androniki Gogou, research collaborator with the Psychology Department.